JD and I had grand plans for our Saturday. and visiting a winery or two for a tasting. Apparently, everyone else had the same idea. road from Riverhead to Mattituck, which sadly resulted in a lack of pies. at Bruce's Cheese Emporium, a place we've discussed needing to try for years. I had the most delicious sandwich, goat cheese, sun dried tomatoes, and grilled chicken. If you ever find yourself i the area, I highly recommend it. JD and I were kicking ourselves for not doing so sooner. After lunch we walked around the town. all of the boats in and people walking around and most of the shops open. 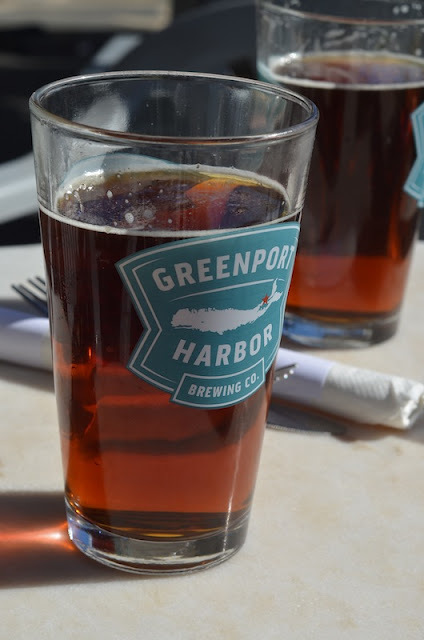 the Greenport Harbor Brewing Co. We loved it. My goat cheese, sundried tomato, and grilled chicken sandwich. JD's steak sandwich with cucumber. I guess no one wanted to be the "bad egg". small rocky beach in Southold to take in this beautiful sunset. Looks like a great day... the sunset is beautiful!! dang. 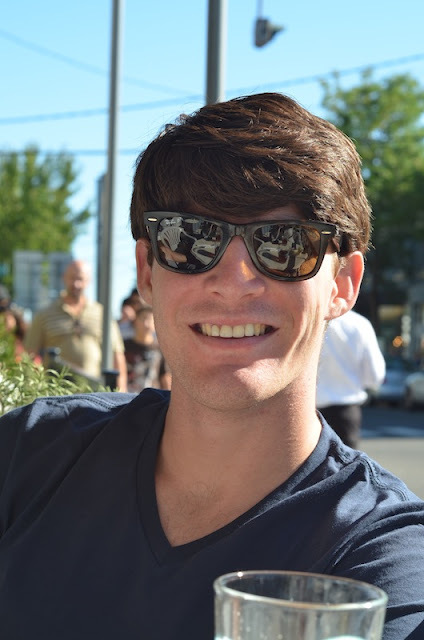 between your red velvet birthday cake and that sandwich, your blog is making my stomach growl.